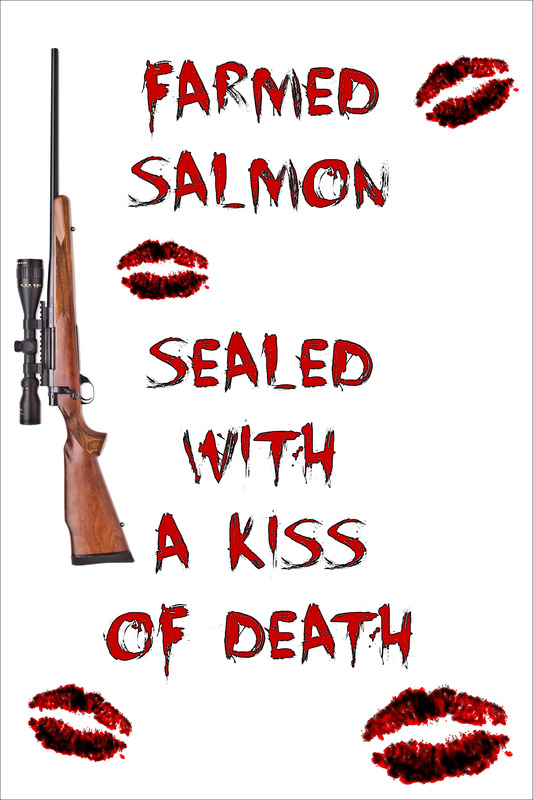 "When you buy Scottish farmed salmon, even RSPCA endorsed Scottish farmed salmon, you pay for bullets to shoot seals." 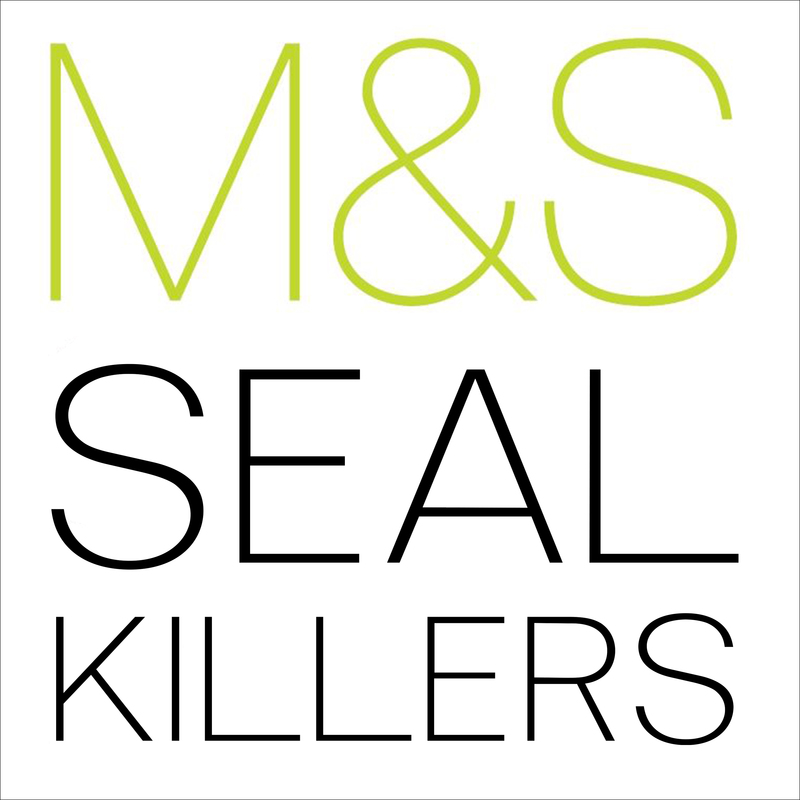 "I am pleased to support those campaigning for an end to seal deaths," said Alison Johnstone, Member of the Scottish Parliament, who joined a protest outside M&S last month. 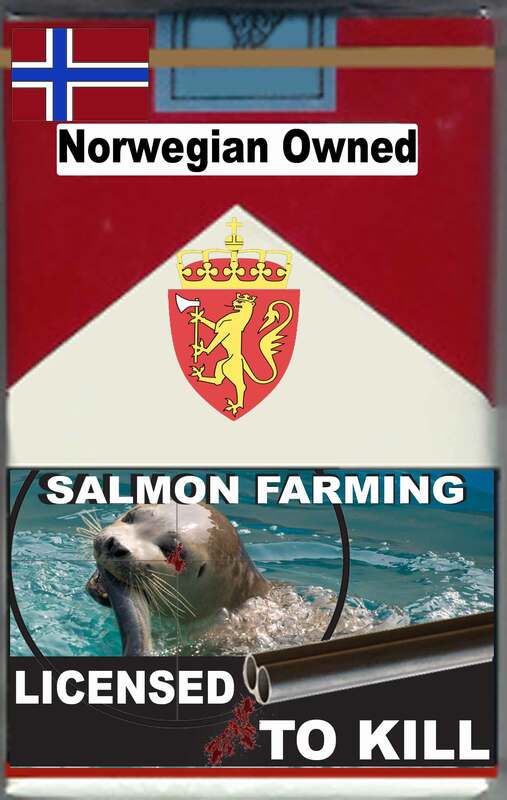 "People buying farmed salmon in Scotland will be appalled to learn that there is no requirement on salmon producers to have nets to deter seals. 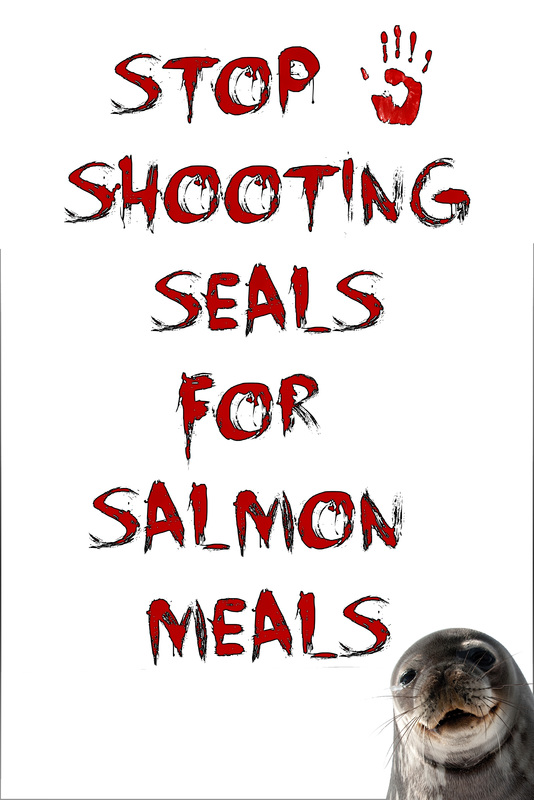 If those making vast profits from salmon sales aren’t prepared to invest in this preventative measure, they cannot claim that shooting a seal is a last resort. It is a lazy, greedy response that contradicts the image the producers and our supermarkets seek to promote and it has to stop." Read more via "M&S Caught in Cross-Fire Over Seal-Killing on Scottish Salmon Farms"
To raise the public profile of this shameful issue, the Global Alliance Against Industrial Aquaculture (GAAIA) will be organising a protest outside the RSPCA's head office in Horsham, West Sussex, on 10 December (more details available online here). The R$PCA sacrificed protection for profit a long time ago. 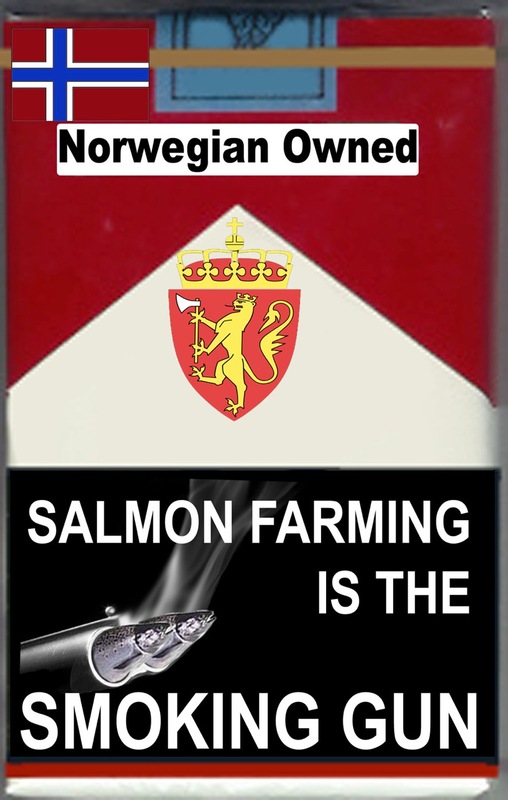 It is understood that each salmon farm certified under the R$PCA Assured scheme pays several thousand pounds therefore raking in hundreds of thousands of pounds for the R$PCA! Ker-ching - that's the sounds of the RSPCA's cash register as dozens of Scottish salmon farms have rushed to be certified as 'welfare-friendly' since 2002. In fact, over 70% of Scottish farmed salmon is now certified as "welfare-friendly" via the RSPCA Assured scheme (formerly Freedom Food). Since there were 260 salmon farms in 2014 (the latest government survey available) that could mean over 180 RSPCA Assured salmon farms in Scotland. "The Seal Protection Action Group believes the solutions now exist to end seal shooting and an industry worth an estimated £1 billion needs to embrace and most importantly pay for them." Read more via "Drive to end seal shooting in Shetland"
In fact, data obtained via Freedom of Information reveals that nearly 700 seals have been killed by salmon farmers in Scotland since official statistics were first collected in 2011. An exclusive analysis by GAAIA of all the data made available by the Scottish Government (i.e. 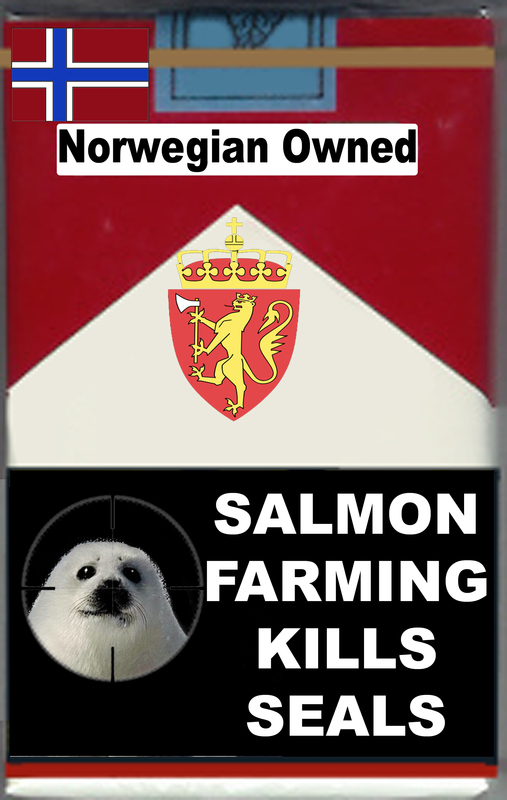 for the first six months of 2015, 2014, 2013, 2012 and 2011) reveals that Scottish Seafarms (who exclusively supply Marks & Spencer) are Scotland's worst serial killers with 150 dead seals followed by Grieg Seafood Hjaltland (136 seals killed), the Scottish Salmon Company (128 seals killed) and Marine Harvest (76 seals killed). During the first six months of 2015, 54 seals have already been killed by salmon farms in Scotland (up from 41 during the same period in 2014). 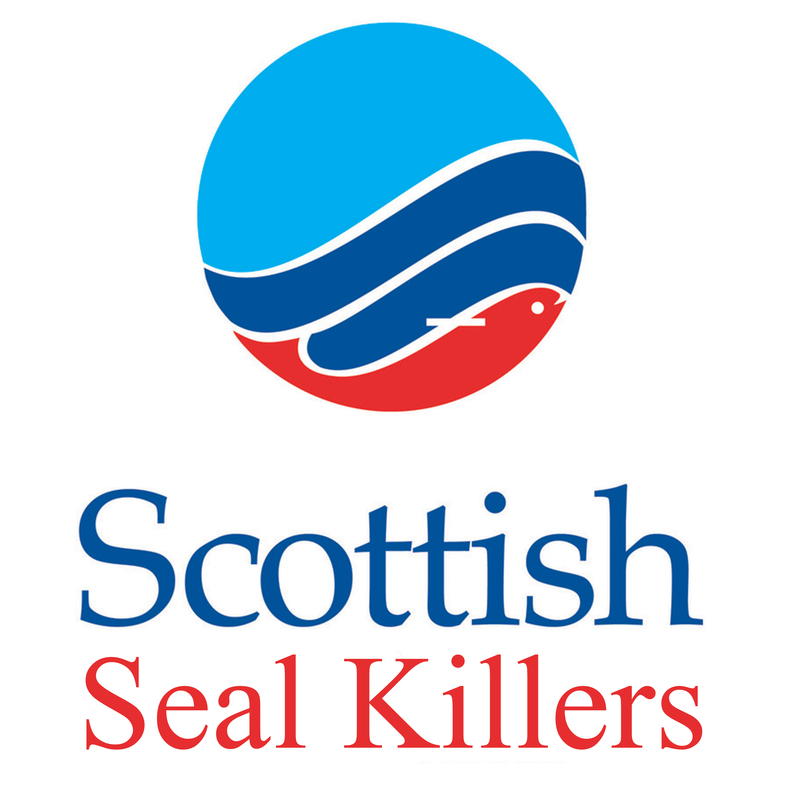 Marine Harvest (15 dead seals), the Scottish Salmon Company (12 dead seals) and Scottish Seafarms (12 dead seals) are the worst offenders during 2015. 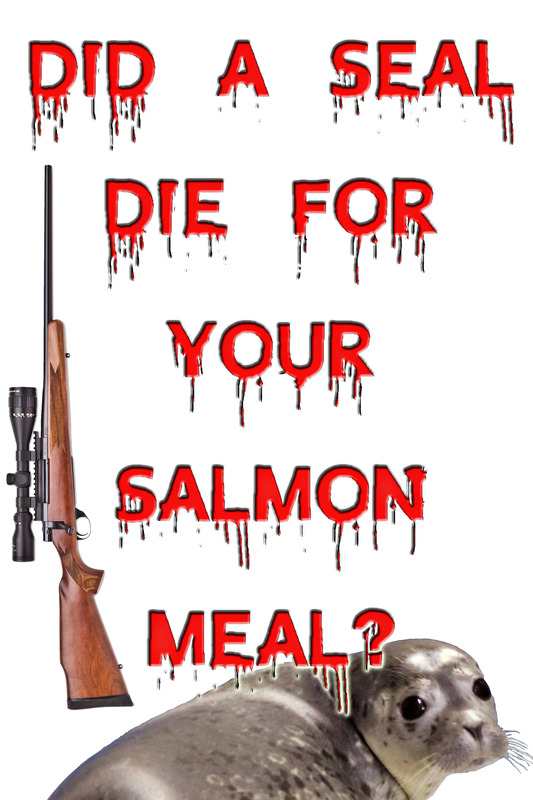 Read more via "Stop shooting seals for salmon meals!" 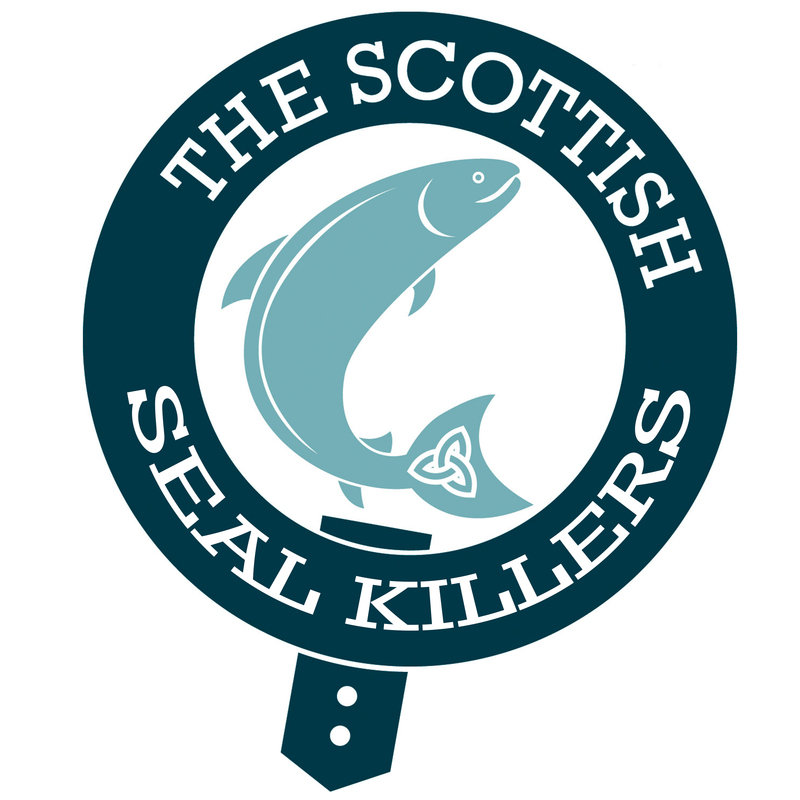 and "Cecil the Seal Killers Named & Shamed in Scotland - Call for Boycott of 'Seal Unfriendly' Scottish Salmon"
Fish Farmer magazine reported in March 2014 that the Scottish Salmon Producers Organisation (SSPO) "who confirmed the current 70% estimate also expects that this figure will continue to rise over the coming years." Bob Waller of RSPCA Assured claimed: “We believe it is because we have clearly shown that farming to RSPCA welfare standards makes good business – as well as good welfare – sense....Success for us, of course, means more animals benefiting from higher welfare standards." Read more via "RSPCA Assured"
"One of the scheme’s greatest successes is farmed salmon where over 70% of UK production meets RSPCA welfare standards, having launched as recently as 2002." 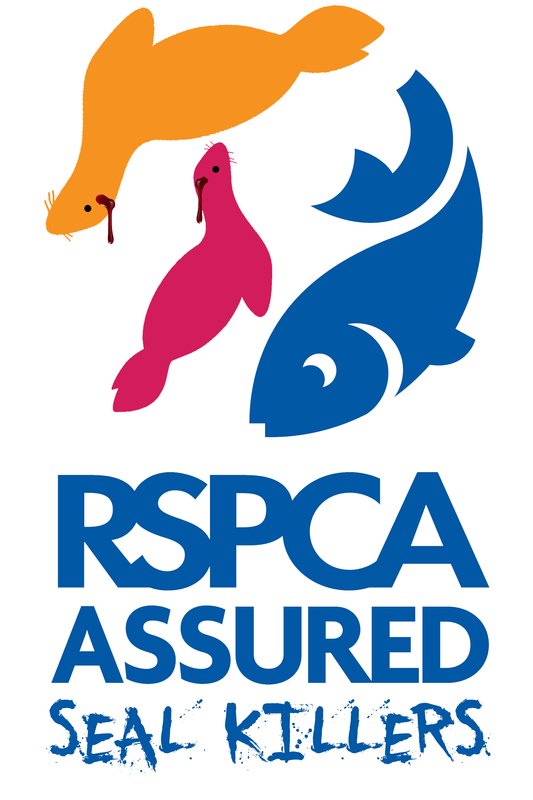 RSPCA Assured even promote on their web-site a recipe for baked salmon by Rosie Curtis of Marine Harvest (omitting to mention the fact that Marine Harvest kills seals). "In your letter you call for a ‘ceasefire’ which suggests that seals are being routinely shot. However, as you know, this is not the case. 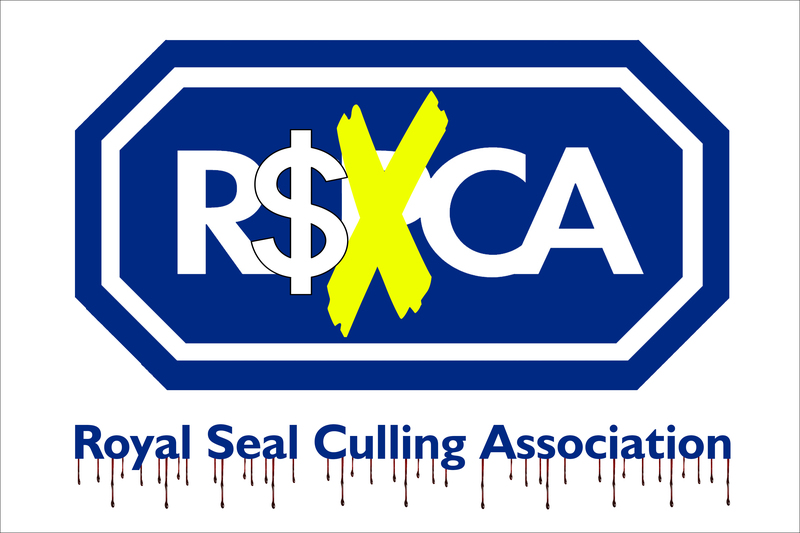 The RSPCA’s welfare standards only allow seals to be shot as a last resort when all available preventative measures to protect the salmon have been exhausted. If you are suggesting that farms should not be allowed to shoot a seal as a last resort, unfortunately the RSPCA is not currently in a position to make this requirement in its standards." Will the RSPCA finally pledge to stop certifying seal-killing salmon farms? Please sign and share online here! "RSPCA upsets people by saying seal shooting is OK"
"RSPCA attacked for its policy on seal shooting"
"RSPCA: Seals should be shot as an 'absolute last resort' to protect salmon"
"IFAW: People will be 'shocked' by Scotland seal shooting"
"Peta: 'No justification for shooting' seals"
"Seal Protection Action Group: Dependent seal pups are left to starve if their mothers are shot"
"UK salmon farmers under pressure on seal shooting"
"Letter to the RSPCA: Public Pledge to Stop Certifying Seal-Killing Salmon Farms"
"Mass seal slaughter as RSPCA opts to protect fish farms"
"Freedom Foods 'failing to crack down' on poor salmon farming standards"
"RSPCA Freedom Food fish farmers killing seals"
"Letter: RSPCA endorsement of the killing of seals by Freedom Food certified salmon farms"